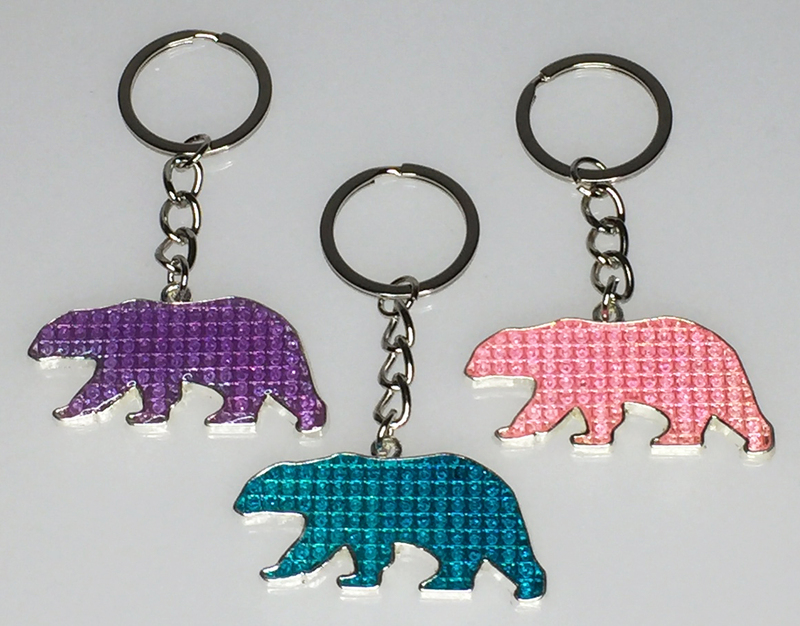 These bears are available in a 3 color assortment: PINK, PURPLE, and SEA FOAM BLUE. 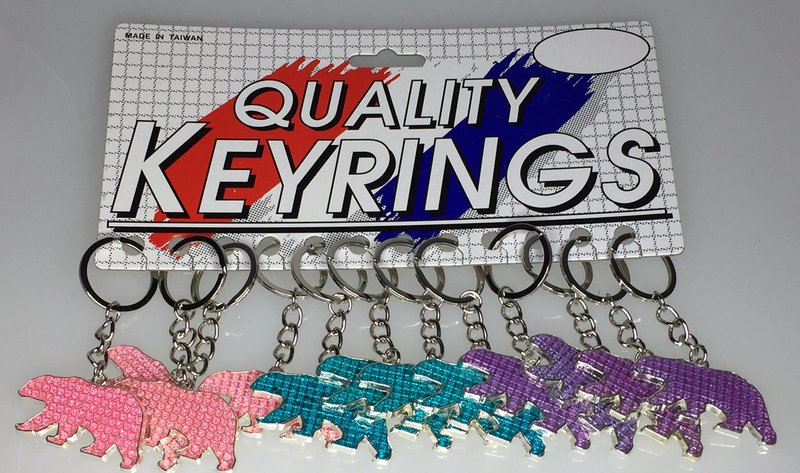 They measure about 2" X 1" and are attached to a 1" chain and a 1 1/8" flat split ring. These are made from zinc alloy, plated in shiny silver, stones added and then topped with a thin film of epoxy. Packaging is 12/Card.